Doing it alone or being represented by an estate agent. If you feel an estate agent has undervalued your house, then you are still able to decide what price you want to sell it for. Gives you more controls on viewings rather than suiting Estate Agents. You get to keep all the money you make from selling your house. You will have to do your own advertising to get as many views as possible and is then time consuming. The paperwork involved in selling your house is vast and confusing. Estate agents have the knowledge to value your house correctly based on size and location. Not only does it save you time, it is also stress free. 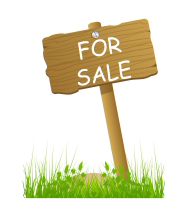 Estate agents know where the best places to advertise your home giving you maximum coverage. A proportion of the money your house makes will be kept by Estate Agents, meaning less money. Estate agents have more houses to sell therefore your house will not be their priority. Whatever method you choose to sell your house, just know that you can always change to the alternative if you feel it is not working out.